Chris Paul has a State Farm agent that gets him – really well. Preaching the gospel of the :06. Pre-roll is as pre-roll does. NBA playoffs is high time for big budget TV filled with gritty close-ups, flashing lights, and superstar athletes reading off a manifesto. So we did that. Hurricane Harvey hit at about the same time Chris Paul moved to Houston. 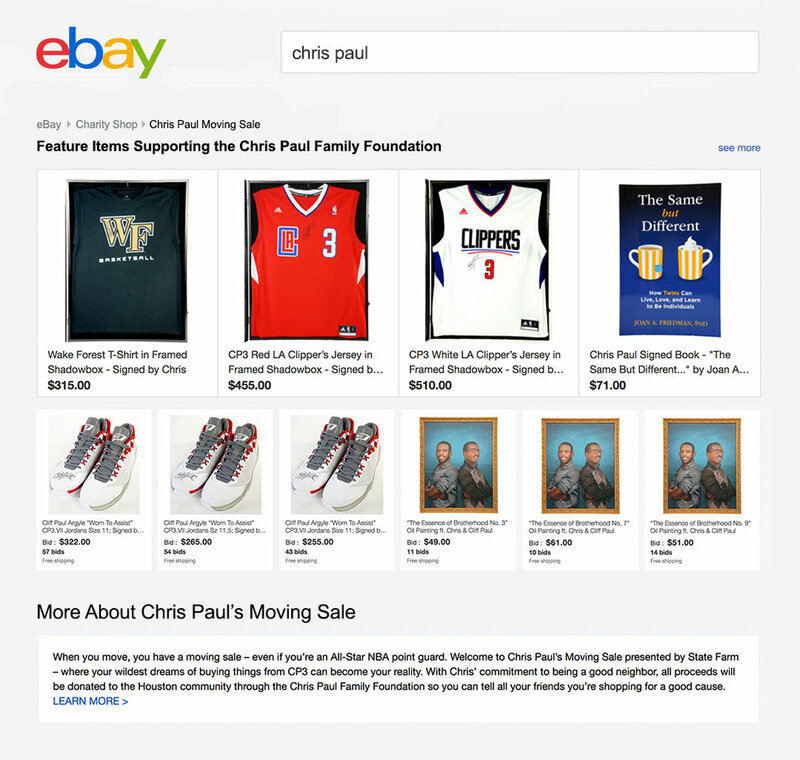 So we got Chris Paul to sell a bunch of his old things on eBay. For charity, of course.